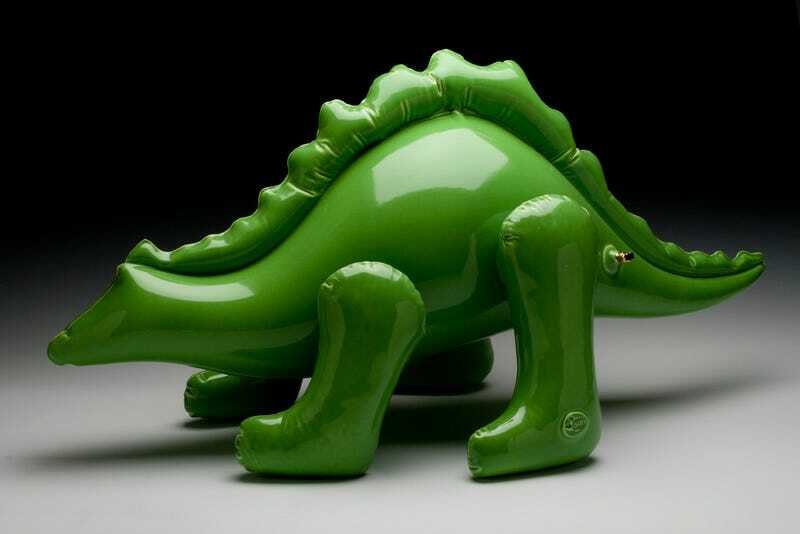 Brett Kern's sculptures look like vinyl balloon dinosaurs at first glance, but they are actually ceramic, the ridges and appearance of inflated tension all deliberately put in. Objects are covered in a material that captures their shape and texture and this, in turn, preserves the object as a rock-like representation. Movies, television, toys and games dominated the cultural landscape of my youth. I am a product of this specific time period, and I like to think of my artwork as the fossils that will help preserve it. Kerns is selling some of his ceramics—including an "inflatable" astronaut in a similar style—on Etsy.